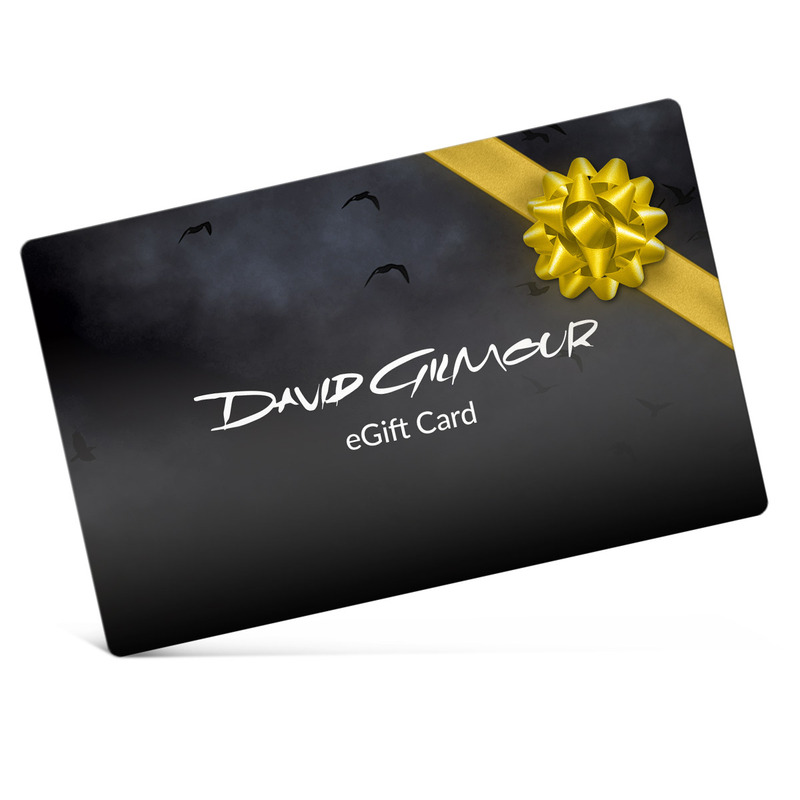 Now available from the David Gilmour Official Store - electronic gift certificates! Let your friends/family choose their own gift by giving them an electronic gift certificate for merchandise. Conveniently, it’s all done via email. You can choose from one of six dollar amounts: $25, $50, $75, $100, $150, and $200. Additionally, you can choose WHEN someone will receive the certificate. You purchase the David Gilmour gift certificate and provide the email address of the recipient. You will be asked to pick a date when you want the recipient to receive the gift certificate via email. Forgot someone’s birthday? Haven’t got your holiday shopping done on-time? You can purchase the gift certificate today and have the option of sending it immediately or at a later date. Personal messages can also be included in the email that delivers the David Gilmour certificate. It’s easy, fast, and convenient and it’s a great way to let people choose the gifts they really want.